PX-B120U – USB-powered Blu-ray drive for under $100 is here! Portable Blu-ray players are getting cheaper and cheaper by the day. Those days of having a ridiculously expensive Blu-ray player are gone. The Plextor PX-B120U is the new cheap Blu-ray player in the block. This USB powered Blu-ray player costs just $99.99. Though its no where as cheap as a DVD player, it still is quite a price cut and something that the market will be more inclined towards. To add to its comfort, the drive is USB powered which will let you carry it around without additional cables. It is plug and play capable. However the Plextor PX-B120U is a read only Blu-ray player. 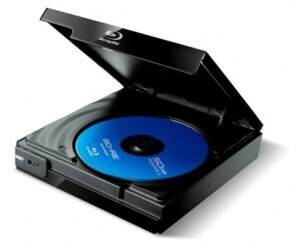 It is not a Blu-ray burner so you cannot write to the disk. Having this Blu-Ray player will let you watch HD movies on your computer. If you were to have a NVIDIA ION graphics, a Broadcom Crystal HD video accelerator, ATI Radeon HD graphics – you should be able to use the Plextor PX-B120U to watch HD movies. Previous Next Generation iPad 2 coming in Q4 this year – New features! Next First HTC Windows 7 phone info leaked – Pictures inside!